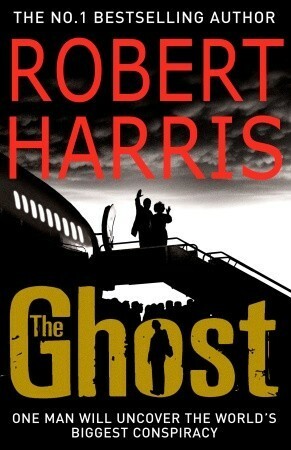 I have enjoyed all of Robert Harris’s books that I’ve read and The Ghost is no exception. The ‘ghost’ in this novel is a professional ghostwriter employed to finish writing the memoirs of recently retired prime minister of Great Britain, Adam Peter Benet Lang. McAra, Lang’s long-term assistant, had nearly completed Lang’s memoir when he was found dead, drowned. He had gone overboard during the ferry crossing to Martha’s Vineyard, where Lang and his wife, Ruth are staying. The setting of Martha’s Vineyard in winter reflects Lang’s mood, it is out-of-season, closed down, practically empty – as isolated as Lang himself, disconnected from the world of power he once dominated and stuck on this bleak island with his volatile wife and his aide, the beautiful Amelia Bly, who Ruth suspects is having an affair with Lang. The ghostwriter soon discovers that Lang has secrets in his past that are returning to haunt him – secrets with the power to kill. And he suspects that McAra’s death was neither an accident nor a suicide. This is fiction, but Adam and Ruth, do have similarities to Tony and Cherie Blair. Lang is charming, personable, full of restless energy, with an engaging smile and thick wavy hair. The narrator, an unnamed writer, who Adam calls ‘man’, is a likeable character more used to ghostwriting the memoirs of footballers than politicians, who has just one month to complete Lang’s memoirs. But soon after he arrives this is reduced to two weeks when news breaks that Lang is accused of war crimes. The International Criminal Court in The Hague are investigating the allegations of Richard Rycart, the former British Foreign Secretary, that Lang had ordered the illegal handover of suspects for torture by the CIA. I liked the details about ghostwriting from the quotes heading each chapter taken from Andrew Crofts handbook, Ghostwriting. But what I liked most about The Ghost is that it is fast- paced, full of tension and written in a straightforward linear narrative – no flashbacks or fly forwards, or multiple narrators. As in his other books I’ve read it’s written in such a way that I feel as though I’m there with the characters taking part in the action. And his characters are distinct people, easily distinguishable from each other. In so many books I’ve read recently I’ve come across a character and have been unable to place them and have had to backtrack to find out who they are and how they fit into the plot, or the characters have similar sounding names or all begin with the same letter. Not so with The Ghost the characters have depth, the structure is clear, and there is a twist at the end that revealed the menace implied through the whole novel. Harris is a great storyteller. I’ve been hearing a lot of good things about this one, Margaret, and I’m very glad it lived up to your expectations. The premise is so interesting, and it sounds as though Harris has done an effective job with the characters, too. I definitely need to keep this one on the radar. I was glad I enjoyed it too – it has been on my shelves for 10 years! One thing I like about him is that his books are always varied – whether it be from Roman times to the 20th century. I enjoyed that one too – and the next two about Rome, Lustrum and Dictator. I love Robert Harris, but this particular book has never sounded very appealing to me. Your review makes me think I might enjoy it after all! I definitely plan to read this one at some stage because, as I said in another comment elsewhere, it was recommended by a friend who wouldn’t normally read this kind of thing but did and enjoyed it very much. Glad I’m not the only one who often comes across characters that they can’t place and has to go back and check how they got there! An I’m glad Cath other people have the same difficulty too. It’s not so bad with an e-book when you can easily see when each character first appears in a book, but with a paper copy it involves a lot of page turning – and can take up too much time away from the plot. I usually prefer historical fiction to be based further back in the past than this – if I can remember it, it can’t be history! But I love Harris and it sounds as if it’s as well done as usual, so I’ve no doubt I’ll read it… after I finish his Cicero trilogy! FF, I have the same preference too – which is why I’ve had this book so long before reading it. I’m a Robert Harris fan too, and this sounds so interesting. I think I have a copy of this book. Will have to get it if I don’t! Definitely love the setting.